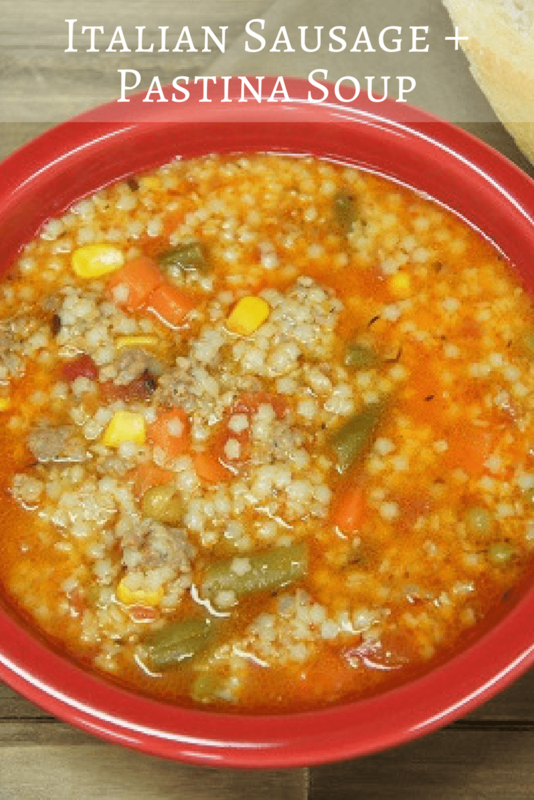 This Italian Sausage & Pastina Soup is delicious and really easy to make. It’s loaded with Italian sausage, vegetables and pasta. The pastina – which is tiny pasta pieces – thickens the soup, so it’s hearty. Using canned tomatoes and frozen vegetables, cuts down on prep time, making this soup perfect for busy weeknights. 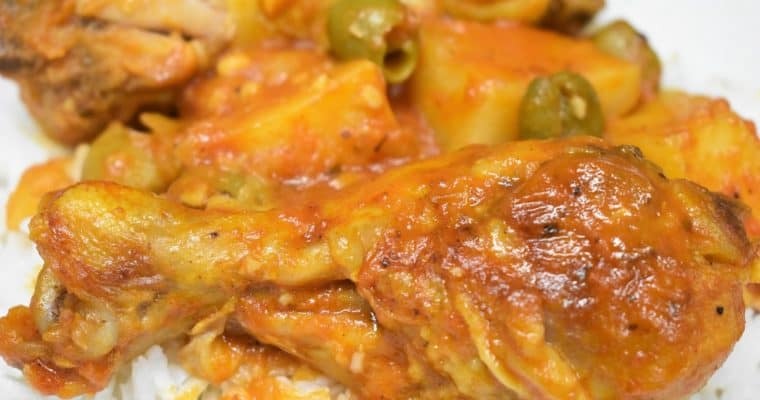 Pair with a salad or a nice piece of crusty bread for a meal the whole family will love. Enjoy! Heat the olive oil in a large pot over medium heat. 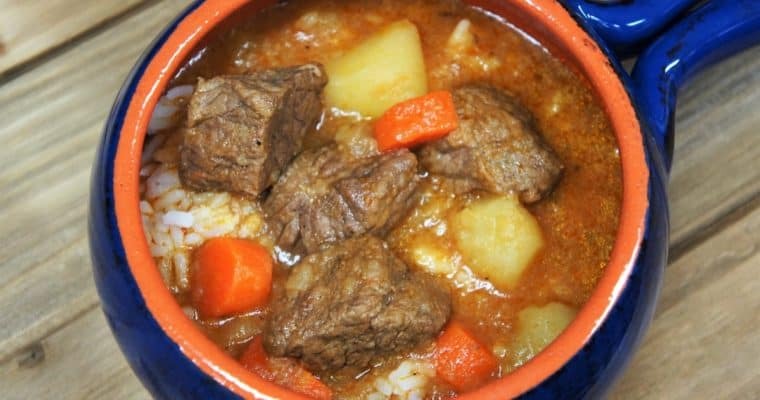 Add the sausage and cook for approximately 5 minutes to brown, stirring frequently and breaking up large pieces with a wooden spoon or spatula. Add the garlic, oregano and black pepper to the pot. Cook 1-2 minutes, stirring frequently. If there is a pool of oil in the pot, it’s best to drain the excess. There could be a lot or a little, depending on the sausage – odds are you’ll have at least some. To drain: Remove the pot from the heat. Using a wooden spoon or spatula mound the sausage to one side and gently tip the pot. The oil should now be pooled to one side. Use a ladle to remove the oil to a container. Repeat a few times until most of the oil is removed. You can also remove all of the sausage with a slotted spoon, dispose of the oil then return the sausage to the pot. Use whichever method is easiest for you. Place the pot back over medium heat. Add the chopped tomatoes and chicken broth, stir well, scraping any bits off the bottom of the pot. Raise the heat to high and bring the broth to a boil, lower heat to medium-low and cover. Cook the soup, for 15-20 minutes, keeping it at a simmer, lower the heat just a bit if it’s boiling too vigorously. Stir occasionally. Cook the frozen vegetables just enough to defrost them and drain well. Follow the package directions to get them going and cut the cooking time by about half. Add the pastina and the mixed vegetables to the pot and stir well. Raise the heat and bring to liquid to a boil. Lower the heat to medium-low, cover and cook approximately 15 minutes until the pasta is tender. Stir the Italian sausage + pastina soup occasionally so the pasta doesn’t stick to the bottom of the pot. 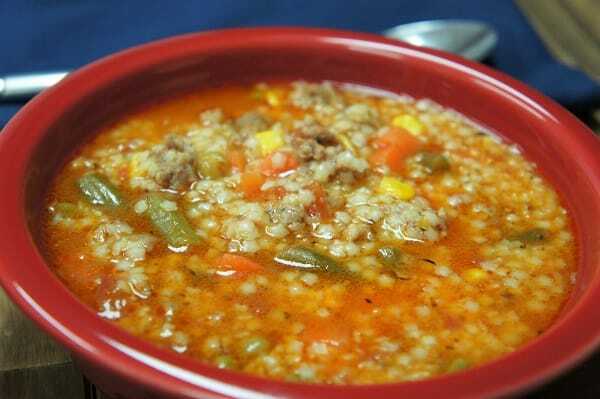 Taste the Italian sausage & pastina soup, add salt only if needed.